YES, Spring is here. And I decided to start it off with something sparkly and fun. I promised my daughter a bomber jacket (M7100). 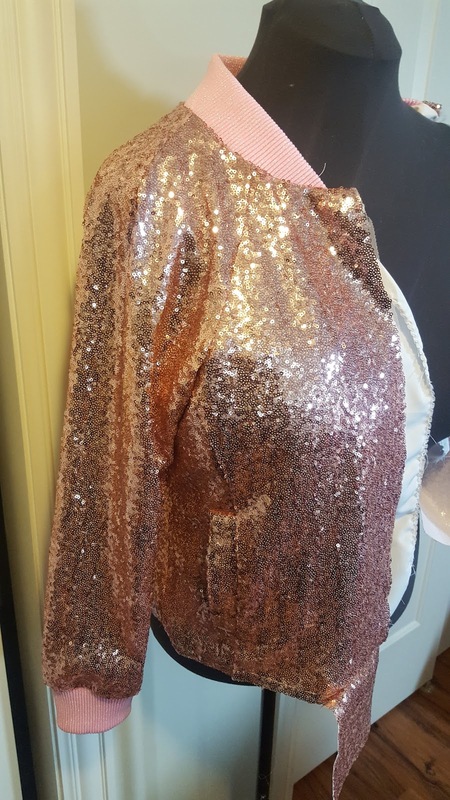 To make it special, I chose Mood’s Blush Baby Sequins on mesh. Pink is definitely her color. This beautiful baby sequins comes in a great selection of vibrant colors. It sews like a dream. 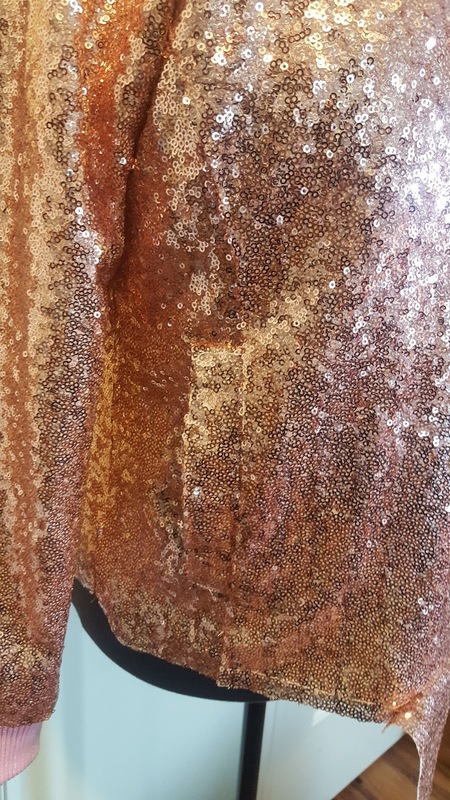 No need to cut sequins from the seam allowances and no breaking needles. It’s worth the cost. Keeping the bling on ten, I used Mood’s Baby Pink Sparkle rib knit trim for the collar, cuffs, and waistband. All eyes on this beauty. For a matching skirt, McCall’s 7906, view A the perfect choice. 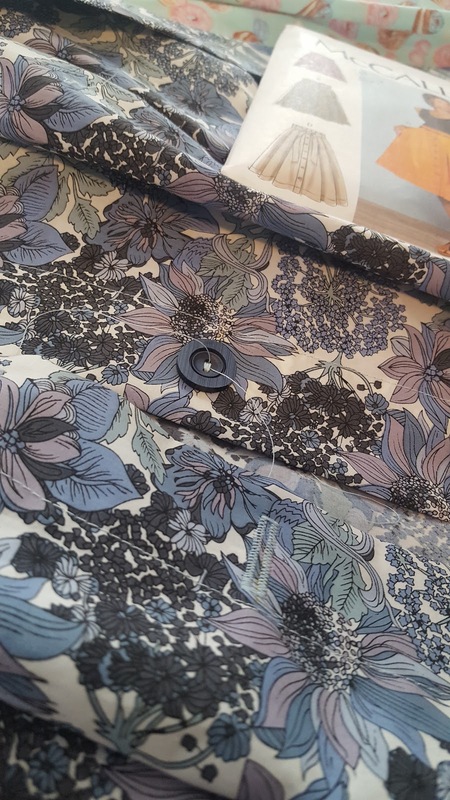 It was also the “Sew Your Own View” pattern for March, 2019. I decided to join the challenge making two skirts for my DD. Candy Blue and Pink mercerized cotton with digitally printed sweets. Cute. Right? Anyway, my DD thinks so. 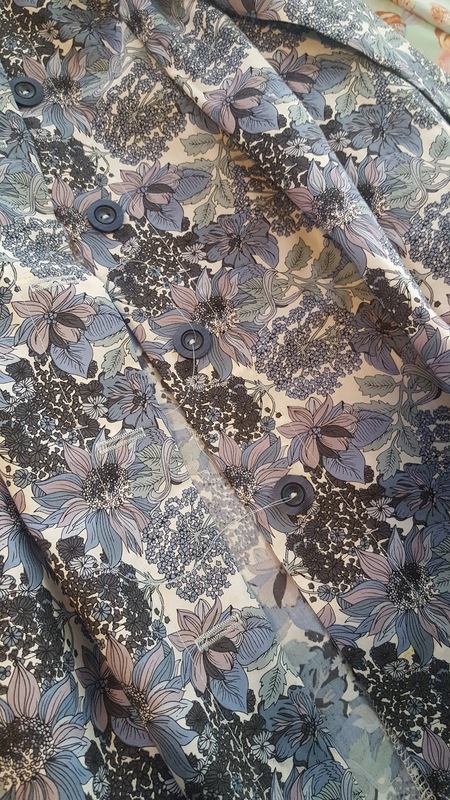 😉 The second skirt is made of Gray/Blue Purple Floral cotton poplin. Natural fibers are the best to work with. No fuss with sewing or pressing. Jacket – I used between small and medium. Instructions typical and easy to follow. I added a lining for body and stability. When pressing the seams of the sequins, an organza pressing clothe is a must have. It makes it easy to see the seams while protecting the fabric. 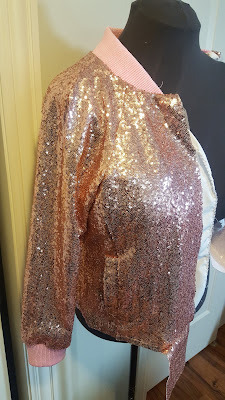 This jacket is a quick sewing project and could be finished in a few hours. For this first one, it took me some time to find a zipper. First, trying to find one in Chicago. You would think I could find a separating pink zipper locally, right? Finally, I ordered from Wawak. Playing it safe I ordered two, just in case. They are a great online source for sewing supplies and my order came within four days of placing it. Skirts – Easy breezy – I used sized 12 for view -A. Instructions easy; no problems. Something that I rarely do is sew the buttons on by machine. It saved me a little time. The sewing was fun and fast. I enjoyed the process from start to finish for all three garments. how well it turned out. Til next time. Happy Sewing! Late Summer Sewing: Men’s Floral-Print Shirt!